2076 - Photo: Paul Bettany. 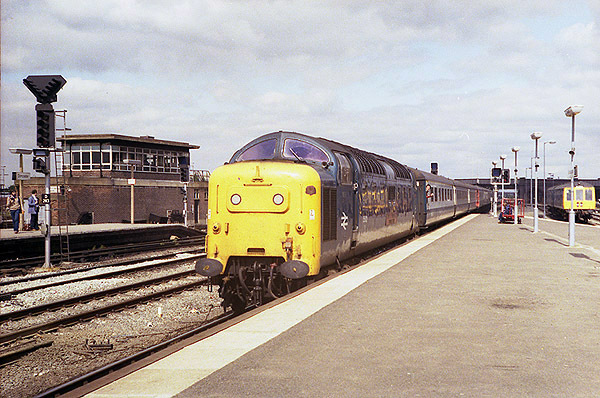 On the 27th August 1979 55021 (D9021) "ARGYLL & SUTHERLAND HIGHLANDER" arrives at Doncaster with the 1A35 12:15 York - King's Cross service. Note at this time the Doncaster North signal box was still standing.